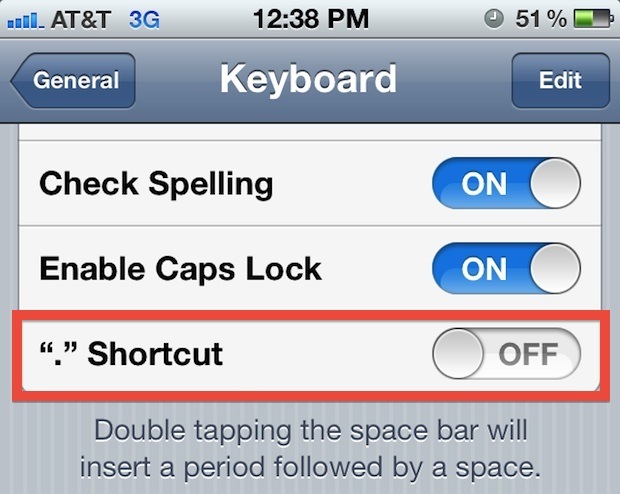 Double tapping the spacebar on an iPhone or iPad inserts a period at the end of a sentence and starts another, a helpful shortcut feature that can really improve typing on the virtual keyboards of iOS, but not everyone likes the double-space to type a period behavior. If you don’t want the iPhone or iPad to automatically type periods at the end of a word or sentence, you can adjust the setting in iOS to turn this capability off. 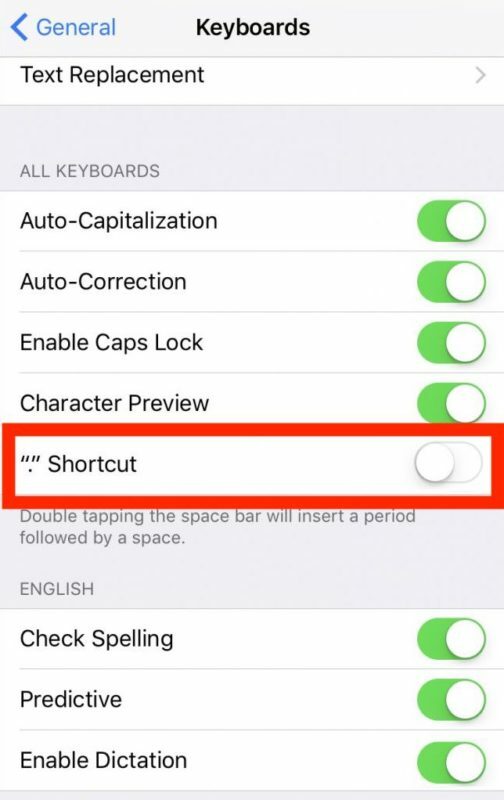 With this period shortcut setting turned OFF, a period will no longer be inserted if you double-tap the spacebar, leaving you to manually insert all punctuation when typing in iOS. This applies to all iPhone, iPad, and iPod touch, and the setting will impact not only the onscreen virtual keyboard, but also any external keyboard that has been connected through the Smart connector or via Bluetooth to iPad or to iPhone. 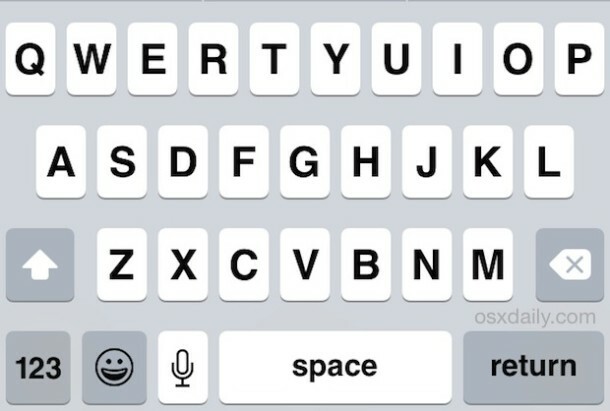 Some users really like this typing feature as it can make typing on the iPhone or iPad keyboard a bit faster, but other users may find it leads to typos, while some others may just prefer to manually type out all letters through the keyboard. There are also some users who may not realize this is an intentional feature and who end up wondering “why is my iPhone / iPad typing periods automatically?” when they are not actively hitting the period button on the keyboard. As with all settings, you can always turn the period shortcut off, and then if you decide you like it, you can turn it back on again too simply by returning to Keyboard settings and toggling the switch again. Regardless of the appearance of Settings app, you can toggle this period setting off and on as needed. Thanks for this. It was especially irritating when tapping out a list. Same here. After disabling the option, it continues to insert a period after a second space is entered. This is extremely troubling when you are coding (Coda). I am running iOS 10.2.1 on an iPad Air 2. This was killing me, but I have the option for hardware keyboards as well. I’m not sure if that’s standard or because I have a bluetooth keyboard too, but it you have the option in general settings, go to hardboard keyboard and it has the option to turn it off a second time. Turn it off there and hopefully that will turn it off for good. It did for me. Unfortunately, it IS off on my iPad, and so also is “Auto Capitalization.” And it STILL inserts the capital letter and the period. Makes me crazy. Arrrgh! Thank you Amy! It was that extra step on the hard keyboard that finally stopped adding the period. How annoying!! Thanks a ton for this valuable solution to onscreen keyboard pop up.